Mallard Point Lewes Delaware is a beautiful residential area located in Sussex County Delaware and there is over 2,400 feet of beautiful waterfront with various homes and units for sale. If you are an active person, this location offers the great outdoors like you have never experienced it before. There are homes that are coming up and you can find the perfect home that offers you sumptuous living in lush surroundings. The unsurpassed beauty of the location will take your breath away and most of the homes are centrally located, giving you easy access to various amenities. Mallard Point Lewes Delaware is located just minutes to Historic Lewes. The town of Lewes is THE FIRST TOWN IN THE FIRST STATE. There is easy access to route 1 to head south to Rehoboth, or Bethany beach. Heading further south will take you to Fenwick Island and Ocean City Maryland.From Mallard point heading north is Dover, The State Capital and then up to Wilmington. 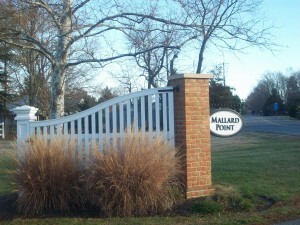 There is a lot to do in and around Mallard Point. The lakeside community allows easy access for boating and water activities. Just minutes to the State Park boat launch facility allows entrance to the Delaware Bay and into the Atlantic ocean. Tanger outlets is just south of Mallard Point and is a mecca for Tax Free shopping. The Cape Henlopen state Park is host to many activities such as nature trails, military gun towers, pristine beaches, camp sites and fishing pier. The park is famous for its bike trails and one can follow a trail all the way to Rehoboth.